In our Instagram feed, we sometimes share RTW (ready-to-wear) looks that we come across that would be easy to recreate with a Blank Slate Pattern. 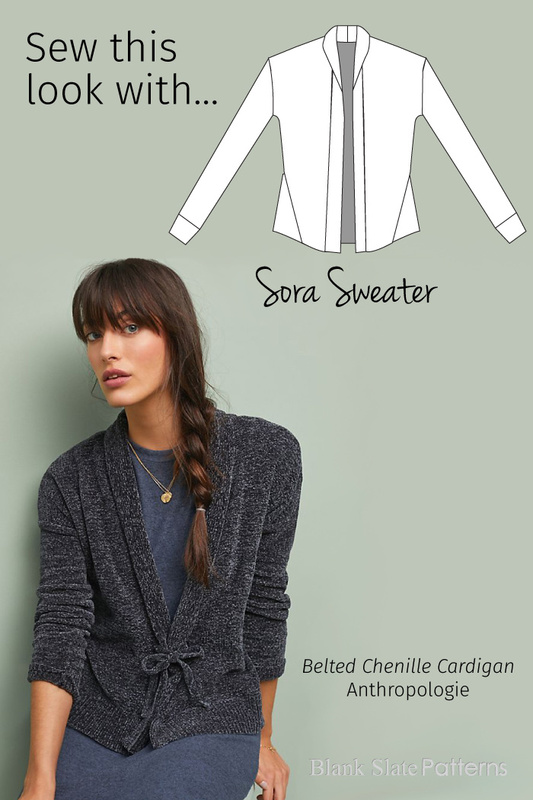 Here is one way to interpret the Sora Sweater pattern. First, cut 2 strips of your fabric, 2″ wide by 14″ long (5cm by 36cm). Fold one of the strips in half lengthwise, right sides together, and stitch along the long edge and one short end, using 1/2″ (12mm) seam allowance. Repeat with the other strip. 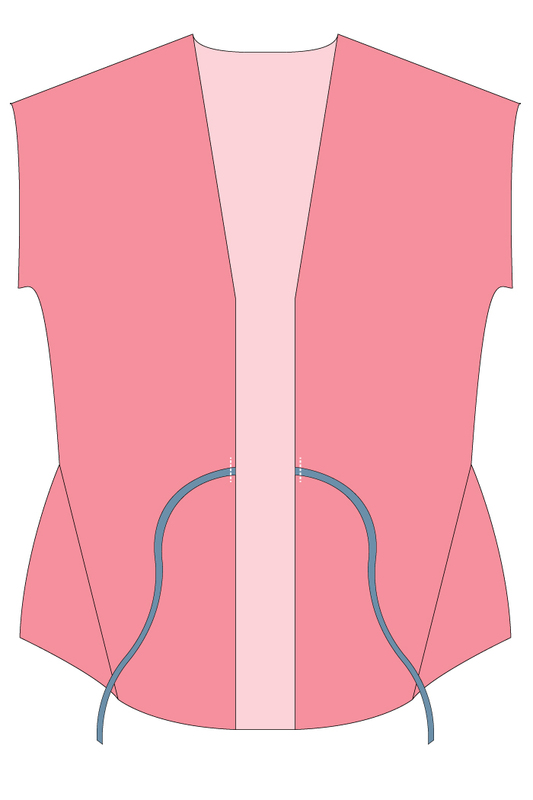 Prior to the first “Cardigan Collar” step on page 11: Place the ties so that they are even with the top of the gussets, with the raw short end of the ties aligned with the raw center front edges of the cardigan. Baste in place inside the seam allowance. TIP: Safety pin or baste the loose ends of the ties well away from the center front edges of the cardigan, so they don’t get caught and sewn into the collar. That’s it! Proceed with construction as outlined. Have you come across a ready-to-wear look that you’d like to recreate? Let us know here. For more of Sew This Look and other daily inspiration, be sure to follow our Instagram account!